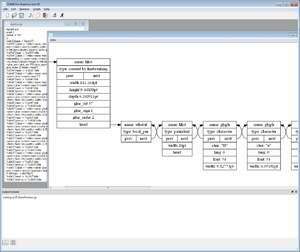 The Graphviz layout programs take descriptions of graphs in a simple text language, and make diagrams in several useful formats such as images and SVG for web pages, Postscript for inclusion in PDF or other documents; or display in an interactive graph browser. (Graphviz also supports GXL, an XML dialect. Version 2.38 Stable is a freeware program which does not have restrictions and it's free so it doesn't cost anything. For security reasons, you should also check out the Graphviz download at LO4D.com which includes virus and malware tests. Additional screenshots of this application download may be available, too. Graphviz download been highly rated by our users.